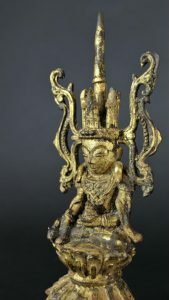 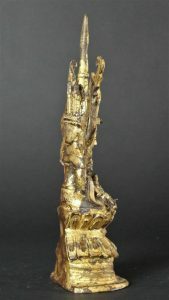 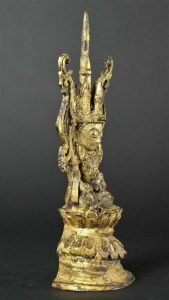 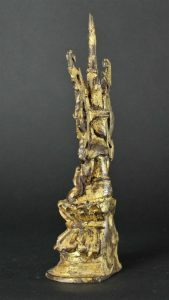 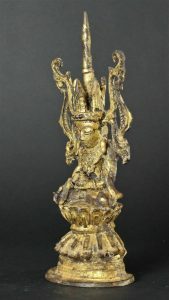 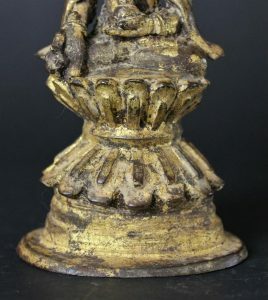 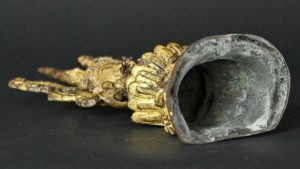 SOLD 18/19th Gilded Bronze Burmese Shan Jambupati (crown Buddha) The buddha right hand holds a vessel with medicine for the sick and the left hand holds a rice grain to feed the hungry and is recognised as a medicine Boeddha. 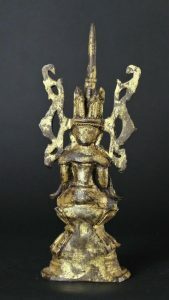 She sits on a double lotus throne. 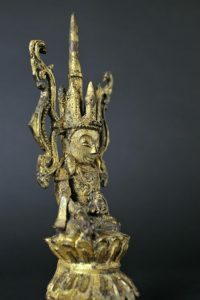 Lost wax method. 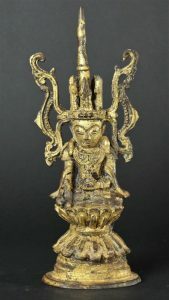 A very charming expression and rich in detail.